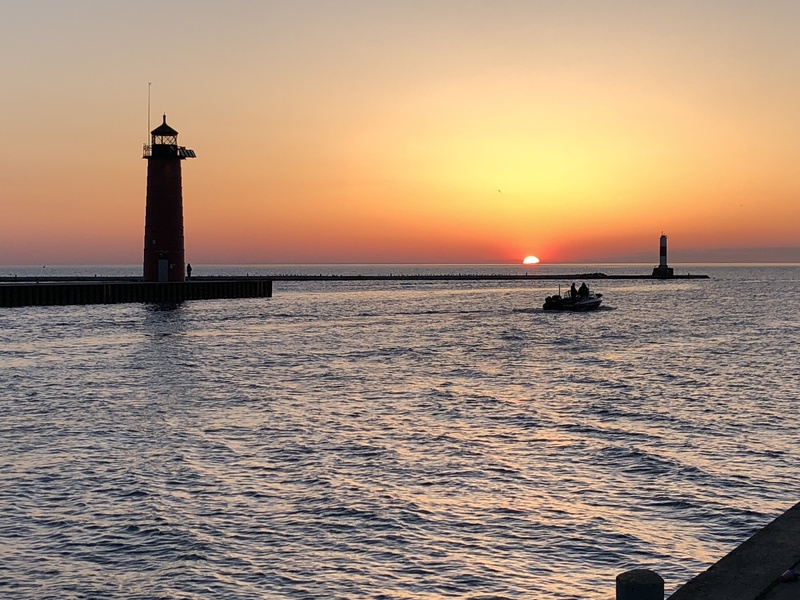 Everyone recognizes the iconic red lighthouse that stands in the backdrop of many Wisconsin Marathon photos, but did you know the lighthouse has a rich history? The lighthouse as we know it was built in 1906 and replaced a wooden beacon, which stood 12 feet high from its base to its focal plane, that was erected 1848. In 2008, the US Coast Guard deemed it excess and offered it no cost to eligible entities. No one stepped up to take responsibility of the structure. In 2010, it went up for auction and again, there were no bids. A second auction took place in 2011 and sold for $17,000 to local artist, John Burhani. Burhani converted the space to a studio and beginning in 2012, opened the lighthouse to the public to show his work. Unfortunately, Burhani passed away in 2015. His wife, Heather McGee created an artist in residence program to keep John’s vision alive.